Ivory Tulle Chandelier Shade - Simple elegance! 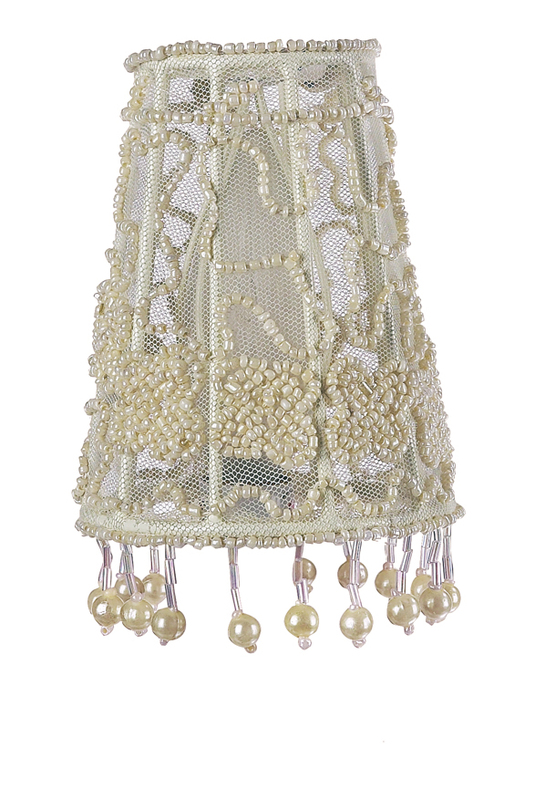 This ivory chandelier shade is adorned with hundreds of beads adding sparkle and glamor to any light fixture. We recommend 25-40 watt bulbs with all chandelier shades. Dimensions: 2" x 3.25" x 4.75"
Full Description Ivory Tulle Chandelier Shade - Simple elegance! This ivory chandelier shade is adorned with hundreds of beads adding sparkle and glamor to any light fixture. We recommend 25-40 watt bulbs with all chandelier shades.